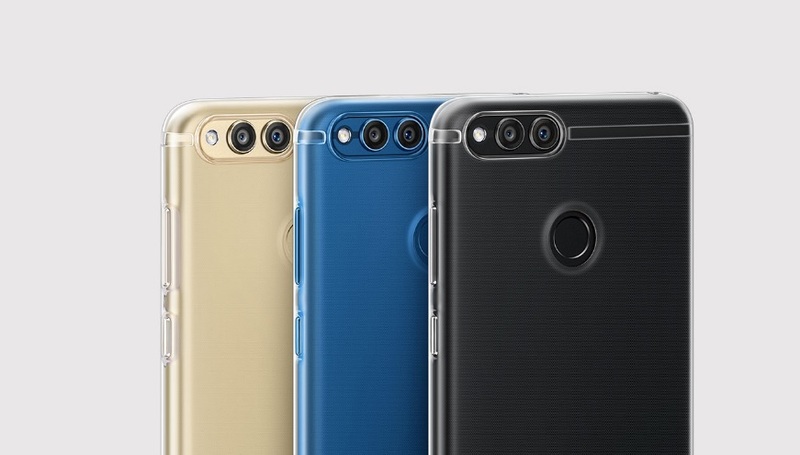 The Honor 7X succeeds the 6X. Update: Huawei has set out a series of impressive deals for Black Friday and Cyber Monday. Hop in to find out which one catches your fancy. Huawei will offer a number of great deals on its products for Black Friday and Cyber Monday. These deals will run from November 23 to November 27, giving you enough time to pick out the ones you fancy. You'd do well to bookmark this page pending those dates. Note that Notebookcheck receives no commissions from the sales of any product listed here. You can check out the linked reviews of these devices for more details. The Huawei Mate 9 will get a US$100 price slash (Amazon, Best Buy, B&H, Newegg). The Honor 6X will get a US$50 price slash (Amazon, Best Buy, B&H, Newegg). The Huawei Watch 2 Sport will get a US$120 price slash (Amazon, Best Buy, B&H, Newegg). The Huawei Watch 2 Classic will get a US$150 price slash (Amazon, Best Buy, B&H,Newegg). The Huawei MateBook X (Microsoft Signature Edition) will get a $300 price slash, with free add-ons in the forms of the MateDock 2.0 & Office 365 Personal (Amazon, Newegg). The Huawei MateBook E (Microsoft Signature Edition) will get a $300 price slash, with free add-ons in the forms of the Portfolio Keyboard & Office 365 Personal (Amazon, Newegg). 8-inch M3, 32 GB (US$70 off, Amazon, Newegg). 8-inch or 10-inch M3 Lite (US$30 off, Amazon, Newegg). Multiple smartphone deals are on the table at the moment, with prospective buyers being able to snag devices by Sony and Huawei on the cheap. The devices, the Huawei Honor 6X, Huawei Mate 9, and Sony Xperia XA1 Ultra are all available on Amazon right now with significant price cuts. The first of them, the Honor 6X, currently goes for US$149.99, US$50 off its original price. The Honor 6X was released about a year ago, and can lay claim to being the best value-for-money mid-ranger on the market over the past year. The 5.5-inch FHD device is powered by the mid-range Kirin 655, sports dual rear cameras, an 8 MP selfie camera, and a 3340 mAh battery. The version on sale is the regular one with 3 GB of RAM and 32 GB of storage. Its successor, the Honor 7X, was released some weeks ago, so there's a chance this sale is geared towards clearing out stock of the 6X, pending the 7X's availability. The Mate 9 was Huawei's flagship device for 2016, so there can be no doubt about what the smartphone offers. It sports a 5.9-inch FHD display, the Kirin 960 (comparable to the Snapdragon 821), 4 GB of RAM, 64 GB of storage, dual rear cameras (20 MP + 12 MP), an 8 MP selfie camera, and a 4000 mAh battery. It runs on EMUI 5.1 (based on Android 7.0 Nougat) out of the box—just like the 6X. There is, however, a beta for Android Oreo available at the moment, so users will not be losing out on the latest Android software. The Mate 9 is currently available for US$399.99, US$100 off its regular price. The Xperia XA1 Ultra completes the list, with the Sony mid-ranger currently on sale for US$299.99, US$100 off its MSRP. The XA1 Ultra was released in February this year, so it's not quite as old as the other two. One of the few Sony smartphones to use a MediaTek SoC, the XA1 Ultra is powered by the 16nm Helio P20. It sports a 6-inch FHD display, 4 GB of RAM, 32 GB of storage, a 23 MP rear camera, a 16 MP selfie shooter, and a rather underwhelming 2700 mAh battery. It runs on Android 7.0 Nougat out of the box but has been confirmed to be in Sony's plans for Oreo. All three devices are unlocked and come with US warranties. Meanwhile, buyers looking to get as much bang for their buck as possible would do well to check the LG V20 out. Its price has been lowered to US$299.99, which has to be one of the best smartphone deals at the moment, especially considering that the 2016 flagship still holds up impeccably till date.